It’s definitely no where near Christmas yet, but a little refresh in bedroom decoration for your children will go a long way into putting a huge smile on their faces. By adding a hint of fantasy, colour and fun, you can allow your children to roam free with imagination in their bedroom. For them, it will become much more than just a room to sleep in. That’s why we have compiled this list of amazing bedroom ideas and even thrown in a few of our own products for inspiration. Kids love nothing more than exploring. This fabulous room brings the best features of outside into a bedroom. To follow this wild theme, why not add some animal room decorations? Hide and seek - a classic game for children and one that can be continued inside the house. Kids love to have their own space and this room is perfect for them to share their secrets with friends or siblings. If there’s any room that a variety of colours are acceptable, it’s a child’s room. This example has so many things going on, it is impossible to get bored. A child’s bedroom would not be a child’s bedroom without the inclusion of toys. The more efficient the storage, the more toys can be fitted in tidily. Bed-time will not be so boring after all with these charming ceiling decorations. You can ensure there is something to look at in every corner of the room. Decorating a child’s bedroom can be a difficult task due to their rapid growth and change of interests. However, whatever your child’s preference, you are sure to find something in our range of products to inspire your decorating ideas. 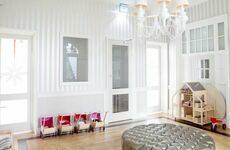 In fact, viewing this amazing selection of kids bedrooms is enough to make any adult envious of childhood fun. 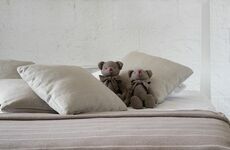 We can guarantee your children will enjoy selecting some new products for their bedroom, and perhaps you will too.